Women are always being told that to do something like a girl is to do something wrong. Well, Always are determined to change that ethos and, judging by their latest string of campaigns, they're succeeding. 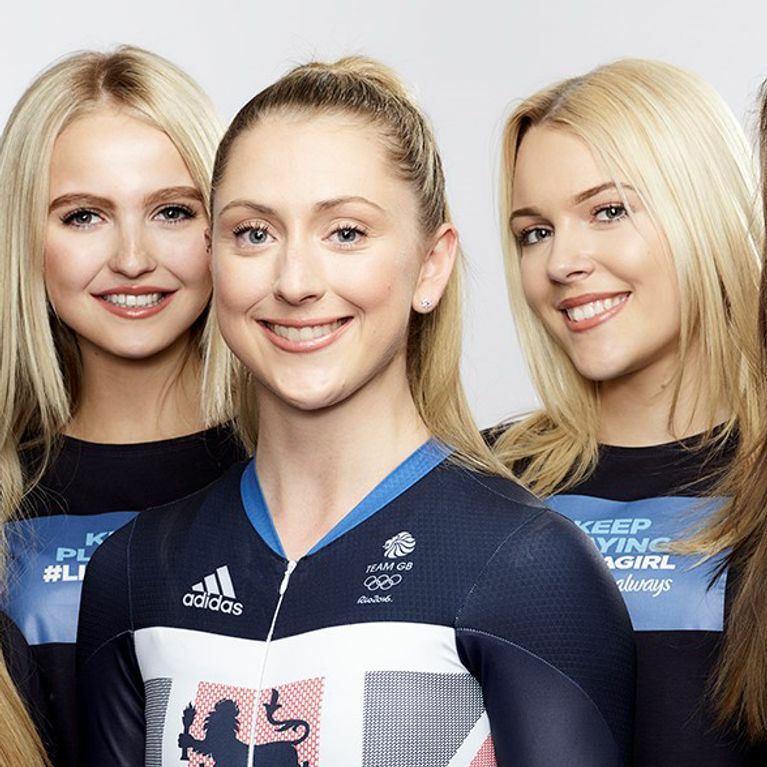 Now they're back, and this time they've got Olympic gold medallist Laura Trott on board to help them spread their message. We spoke to Laura about how to keep playing #LikeAGirl. Getting involved with anything feels like a challenge when you're going through puberty. But when it comes to sport, it's a particularly tricky feat. Sport can dictate many things, from our physical fitness to our mental health to our social lives. ​Research conducted by Always shows that over half of the girls surveyed will quit playing sport by the time they reach the end of puberty. When you're that age, kids can be cruel. One person who knows this all too well is 24-year-old Laura Trott. "I remember kids making fun of me for cycling and wearing a helmet and that would really knock my confidence. But playing sport taught me that by believing in myself, and never quitting, you can achieve great things." ​And she did achieve great things: professional cyclist Laura is currently a Double Olympic Gold medallist - the first British woman to win two gold medals - and will soon be on her way to Rio for the 2016 Olympics to win even more. Laura has partnered with Always to continue their hugely successful #LikeAGirl campaign in order to encourage girls to reject the limitations put upon them at puberty. We spoke to Laura about her new job as Always ambassador, puberty, periods and sexism in sport. You’re the new ambassador for the #LikeAGirl campaign - what does it mean to you to team up with Always on this project? For me it’s important to inspire girls, to get them to take part in sport so for me it was perfect, their mentality to get girls to carry on is exactly how I feel. It just seemed like the right campaign for me to get involved in. When I heard the figures about the 7 out of 10 girls actually don’t believe they belong in sport, that’s probably a lot of the reason why they end up quitting at around puberty. That was shocking and I thought if there’s anything I can do, if I can inspire girls to carry on then that’s exactly what I want to do. I was looking at those statistics and I was really shocked by them. Why do you think that is and how would you encourage girls to stay in sport? I think it’s because they feel like they don’t belong and it’s not for them, whereas for me it was about realising that sport actually gives you that confidence. By dropping out at such a young age you’re not gaining that confidence and that self-belief that I fully believe sport gave me. I think it’s important to have female role models, and if young girls can see that actually, they can get through a really horrible time in their lives, and they can achieve what the role models have achieved, then that’s really important, and it’s something we need more of. Last year there was a lot of publicity surrounding Heather Watson's comments about losing a match because of her period, and Annabel Croft subsequently came out and said that she had nightmares about getting her period at Wimbledon. How do you feel periods are dealt with in sport? Do you think that more consideration should be given to women when they’re on their period during training or a sporting event? For me there was a time when periods weren’t really talked about, not just in the sporting world but in all aspects of life, whether that was in school or as someone who is taking part in sport, so it is good to see that people are now talking about it. It's becoming a realisation, I guess, that you know what? Yes, women do have periods - it happens! It’s really not that big a deal, but it is something that happens so it does have to be taken into consideration. For me personally it doesn’t have that much effect on me on the bike but I know it does for some of my team mates. Luckily we have a really close working relationship with our coach. It’s something that we do speak openly about, so he will know if we’re going to have a bad session or not. Do you feel that there’s still a lot of sexism in sport? I definitely feel like it’s getting better now - when I started there was barely any girls taking part in sport and now I think the growth shows it is getting better. There’s more and more girls competing which I think is fantastic. It’s definitely heading in the right direction. For me personally, to see this is just incredible, and I think it does help, having the olympics and people like Jessica Ennis for people to focus on. Do you feel like men are now more accepting of women in sport? Obviously I can only speak on a very personal level, but for me it’s always been very positive. We’ve got people like [professional road racing cyclist] Mark Cavendish who comes into a training session and says that he’s been watching my race and he thinks that he needs to go into his race being as relaxed as I was in mine, so i think it’s on a very level path for us. That’s a really nice environment to be in. Do you feel sport can also help people in other parts of their lives - giving them mentality of not giving up, for example? Yeah definitely but I don’t think it’s just that, I think it’s the way it makes you feel too, whether it’s just a stroll outside on your lunch break, it just makes you feel a lot healthier and a lot more relaxed and good about yourself. What is your aim during your time working with Always? For me it’s about giving girls confidence. I think that it all stems from sport, and them dropping out means they’re not gaining that confidence. I feel that sport is crucial in building confidence, so encouraging them at a young age to carry on and not give up [is important], just because at the time it feels horrible, and people are saying they might not be able to do it, I think that’s key for really trying to push them into feeling like “no actually, don’t give up on something that you actually want to do." To push them and give them that confidence to carry on.